MISSION ESL COMPUTER LAB: "South Africa and The 2010 World Cup" from Voice of America. 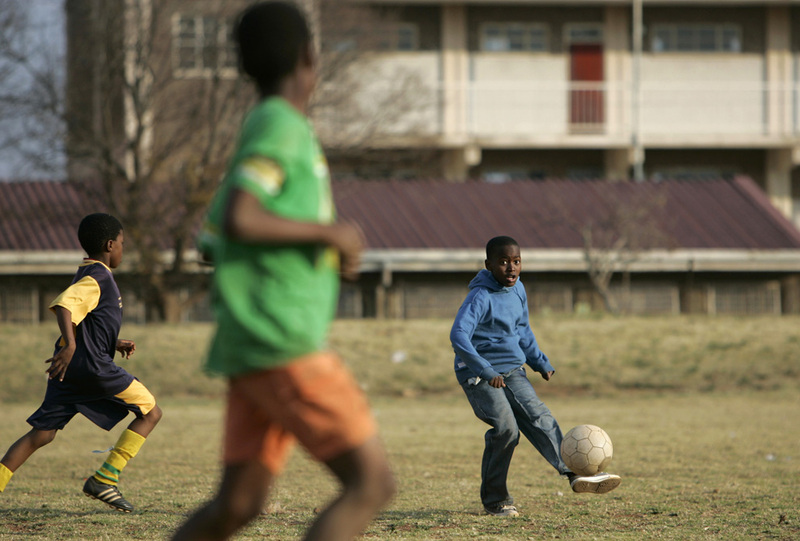 "South Africa and The 2010 World Cup" from Voice of America. BARBARA KLEIN: I'm Barbara Klein. BOB DOUGHTY: And I’m Bob Doughty with EXPLORATIONS in VOA Special English. A maker of luxury travel goods recently launched an advertisement campaign. Video and magazine ads show three men playing table football and laughing in a coffee shop in Madrid, Spain. They are Pele, Maradona and Zidane. Only one name identifies each of them to the world. They talk about football and life. The ad has gained much attention on the Web, possibly because it captures something about one sporting event. It says: “Three exceptional journeys. One historic game.” The game may be historic. But for football glory, the World Cup must be a part of the journey. BARBARA KLEIN: The 2010 FIFA World Cup opens Friday in South Africa. It is the first time that the world’s biggest sports event will be held in Africa. FIFA’s head, Sepp Blatter, announced the decision six years ago to cheers and celebration. The World Cup is organized by FIFA, the Fédération Internationale de Football Association. The organization was established in nineteen-oh-four. FIFA is based in Zurich, Switzerland. Two hundred and eight national associations are members. That is more members than the United Nations. FIFA’s goal is to maintain the rules of football. It holds major competitions around the world for men, women and children. FIFA makes money mainly from television and product marketing. Last year, the group received income of more than one billion dollars. BOB DOUGHTY: Football, called soccer in the United States, is probably the world’s most popular sport. FIFA counts about two hundred seventy million male and female players and officials worldwide. Four percent of the world’s population plays some form of football. Millions of players are registered with leagues and clubs. Germany has more registered players than any other country. China is now estimated to have the most total players. The United States has the most football officials. England, where the sport was born, has the most football clubs — over forty-two thousand. BARBARA KLEIN: Football is easy to play. All you need is a ball and open space. But at its highest level, football combines skill and physical conditioning. It has been called “the beautiful game.” And the World Cup is where the beautiful game appears at its best -- and sometimes its worst. The Two Thousand Ten World Cup has promised drama from the moment groups were announced last December. The competition is organized so the thirty-two teams play in eight groups, each with four teams. Teams play their group opponents once. The top two teams in each group move on to the second stage. BOB DOUGHTY: Every World Cup has its “group of death.” This is a four-team grouping that contains three or four strong teams — all with hopes of winning it all. In two thousand ten, Brazil, Portugal, Ivory Coast and North Korea share the “group of death.” Brazil has won the World Cup five times and is ranked number one by FIFA. Portugal is ranked third in the world. 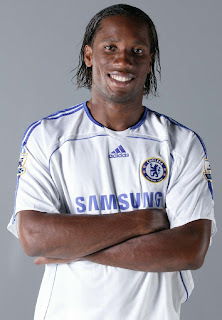 And Ivory Coast has one of the world’s best players, Didier Drogba. But Ivorian fans have been watching the news carefully recently. Drogba suffered a broken arm in a game against Japan last week. He is expected to play, but it is unclear how soon. If Drogba hopes to gain fame at the World Cup, he will have to fight injury before he faces a single defender. BARBARA KLEIN: One match capturing world attention will be the United States against England on Saturday, June twelfth. Sixty years ago, the Americans gained their biggest World Cup victory against England in Brazil. England is a traditional football power and won the nineteen sixty-six World Cup. The team is ranked eighth in the world. It has one of the world’s best players, Wayne Rooney. But the United States is ranked fourteenth. Coach Bob Bradley believes he has a strong team. This year’s United States team has a lot of international experience. Seven members on the team play in England. In all, nineteen play in foreign professional leagues. Jozy Altidore has been called the United States’ biggest goal-scoring threat. But he may be slowed by an ankle injury. 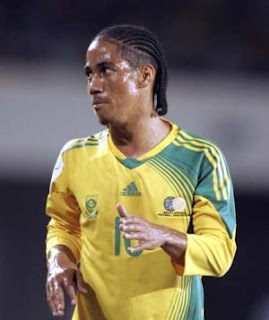 He is joined by three players appearing in their third World Cup. Among them is Landon Donovan. He holds the scoring and assist record for the national team. Besides England, the United States faces Slovenia and Algeria in group play. BOB DOUGHTY: Six African teams will be playing in the World cup. They are South Africa, Algeria, Cameroon, Ghana, Ivory Coast and Nigeria. Cameroon is the highest ranked team and has been the most successful. In nineteen ninety the Indomitable Lions, as they are called, defeated defending champion Argentina and reached the quarterfinals. But possibly the biggest story of this year’s World Cup is the history of the nation holding the huge event. South Africa is a nation of forty-nine million people and Africa’s biggest economy. But it also has struggled with racial division, poverty and high rates of HIV/AIDS infection. Danny Jordaan is the head of the South African Organizing Committee. He is also a former football player. And he is an activist who fought the policy of racial separation, called apartheid. It existed in South Africa until the early nineteen nineties. He says hosting the World Cup will help unite the nation. BARBARA KLEIN: Like the Olympics, the World Cup provides a good reason to build roads, railways and airports to manage the flow of visitors. New or updated hotels and sporting centers are also part of the preparations. The South African government has invested an estimated twelve billion dollars during the past four years. That includes major improvements to the airport in Johannesburg and a new one billion dollar airport in Durban. New or improved sports centers are another part of the costly preparations. South Africa has updated its stadium at Soccer City near the Soweto area of Johannesburg. The improved center can hold more than ninety-four thousand screaming fans. The World Cup final will be held there on July eleventh. Speaking in his native Spanish, Argentina’s coach and former player Diego Maradona praised the stadium. BOB DOUGHTY: South Africa has also spent nearly two billion dollars to build five new stadiums, including one in the tourist center of Durban. A total of sixty-four matches will take place in ten stadiums around the country. Security is also a main concern. South Africa will deploy forty thousand police officers. They must protect visitors from crime, fan disorder and terrorist threats. The government is spending nearly two billion dollars on security training and equipment. Critics say the money could have been better spent helping poor people in the country. But South African President Jacob Zuma says holding the World Cup has brought development that will help the country for many years. BARBARA KLEIN: Thirty-two teams will start the World Cup in South Africa with dreams of reaching football glory. Possibly the biggest hero of the event will come from one of the traditional European or South American football powers. They include Italy, Germany, Brazil and Argentina. Those nations alone have won fourteen of the eighteen World Cups held since nineteen thirty. But there are other, less likely, heroes. Roger Milla was a star for the memorable team from Cameroon in nineteen ninety. At age thirty-eight he scored four goals as his team gave the best performance ever by a team from Africa. For one month, the drama of international football will play out in South Africa. New sports heroes will make history. But the greatest results could take place off the field. Loren Rutherford depends on the tourism business. She believes the Word Cup could change her country. BOB DOUGHTY: This program was written and produced by Mario Ritter with reporting from Scott Bobb and Parke Brewer. I’m Bob Doughty. BARBARA KLEIN: And I’m Barbara Klein. Who do you think will win the World Cup? Post comments or support your team at voaspecialenglish.com. We are also on Facebook, Twitter, YouTube and iTunes at VOA Learning English. Join us again next week for EXPLORATIONS in VOA Special English.